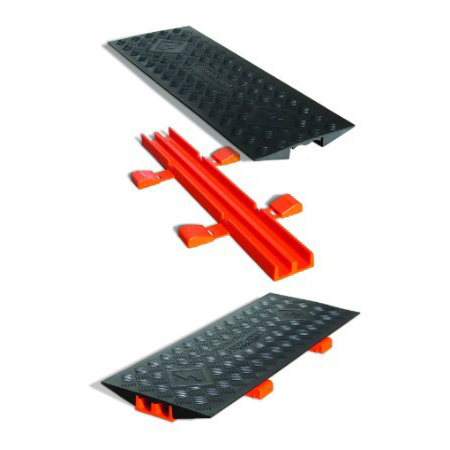 Designed to bridge multiple parallel cable protector runs, the CROSS-LINK® Protector Bridge is designed to utilize the space between two or more cable ramps by adding two additional channels while providing a continuous level crossing surface for vehicle and pedestrian traffic. 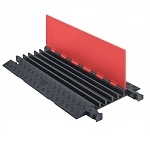 LINEBACKER Heavy Duty Cable Protector(4 and 5 Channel only). 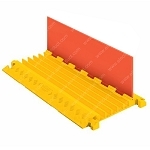 LINEBACKER General Purpose Cable Protector(5 Channel only). 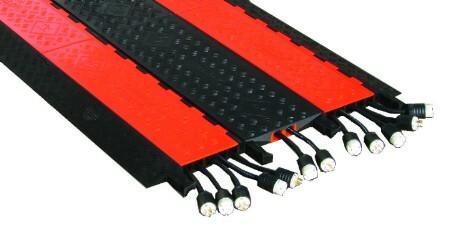 GUARD DOG Heavy Duty Cable Protector(5 Channel only). Lightweight and easy to transport, set-up, disassemble and store. Ideal for public, commercial, and high traffic areas. Can be used with Linebacker General Purpose, Linebacker Heavy Duty, and Guard Dog 5 Channel Cord Protectors.